I think we are compulsive collectors. 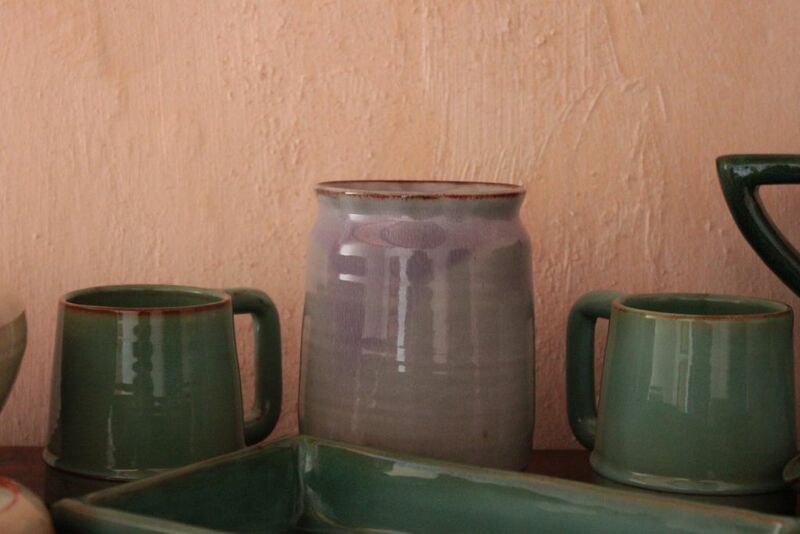 Towerwater has a variety of collections ranging from tables to chairs to teapots and more. We collect things because of their beauty and the pleasure they bring to our lives. When I reflected on the concept of what makes a collection, I discovered that there is no minimum number of items for a collection. In theory, it is possible to have a collection containing only one item! Within that description, Towerwater is just one big collection. The eminent Victorian, William Morris said, “Have nothing in your house that you do not know to be useful, or believe to be beautiful.” Well, we try to stick to that dictum at Towerwater. 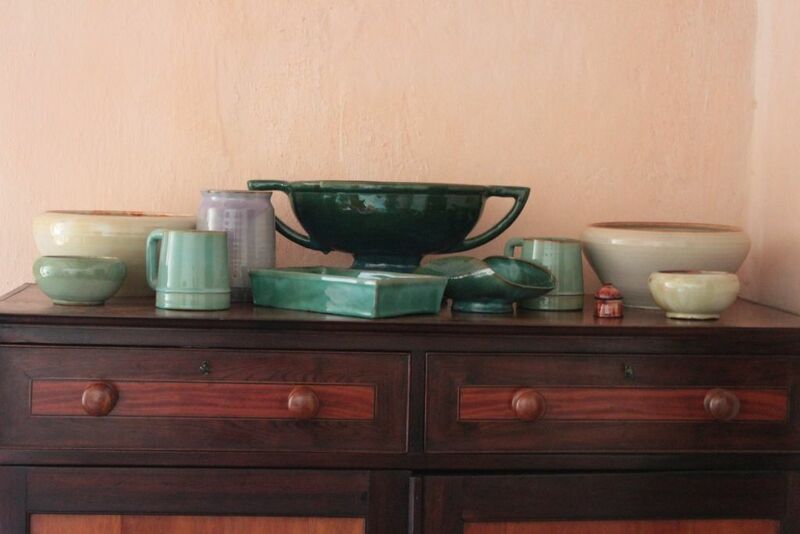 We never intended to collect Linn Ware, South African pottery made by a group of women in Olifantsfontein, near the city of Pretoria, between 1942 and 1954. 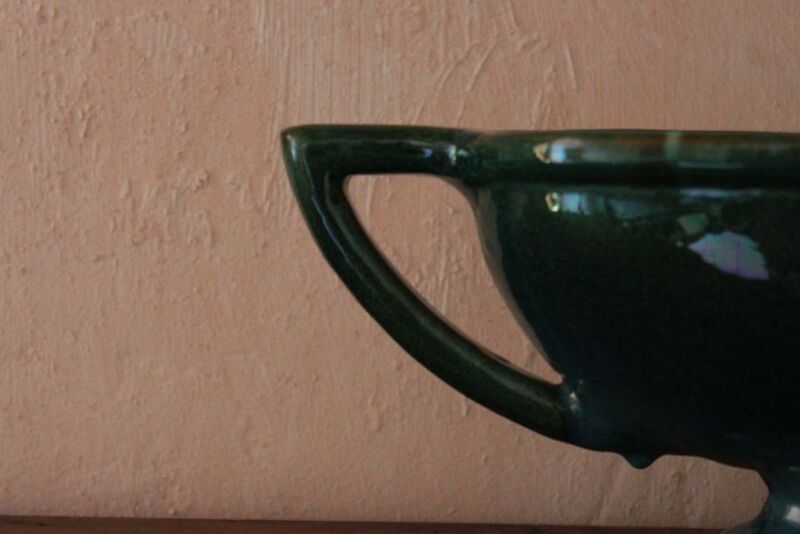 Linn Ware is best known for the beautiful green and blue hues of their glazes. But, in fact, Linn Ware was manufactured in many different colours. 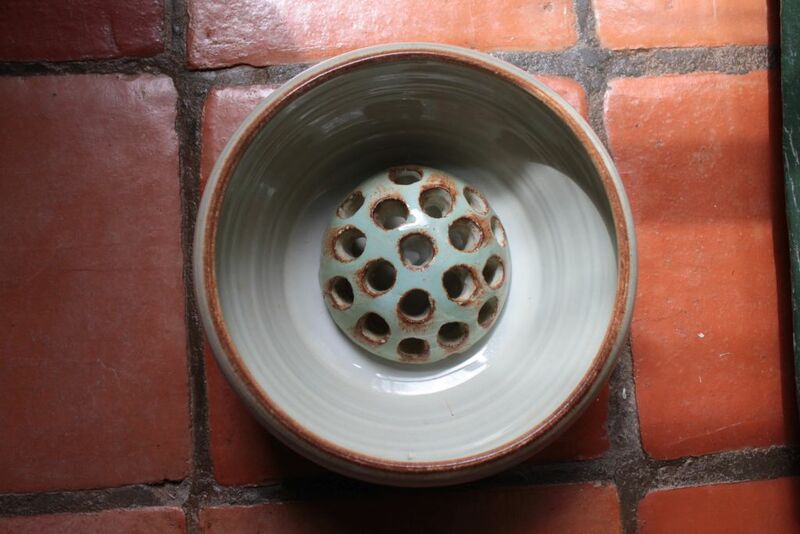 When we randomly came across Linn Ware in second-hand shops from time to time, we would buy them to spare them the insult of being in the company of lesser ceramics. I felt so embarrassed for them where they often would be standing amongst odd pieces of bric-à-brac; marked at prices that were not appropriate for royalty of the 20th Century South African pottery world. 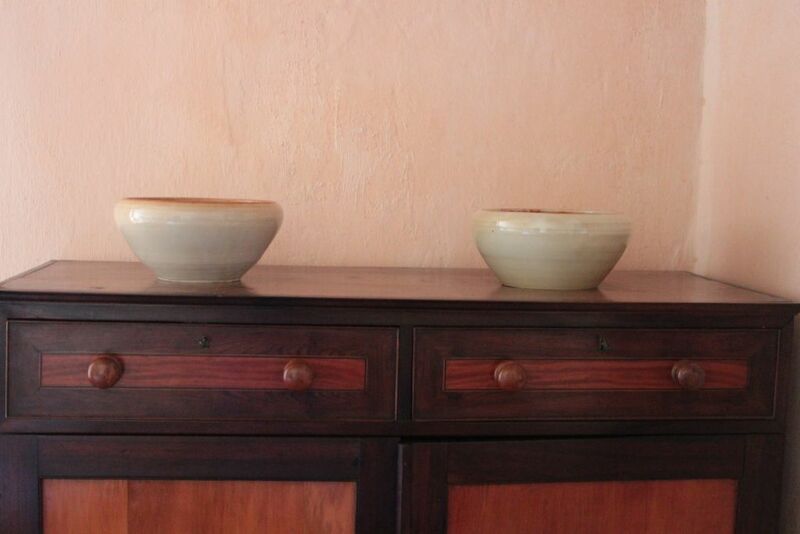 We rescued bowls for R8 each at one time and never paid more than R28 a piece, until now. 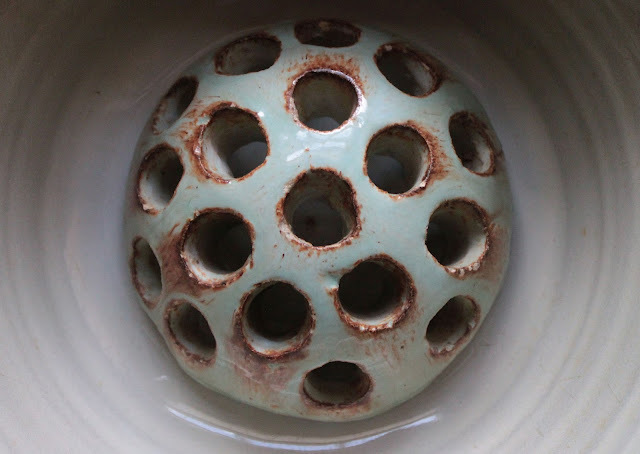 Other pieces were given to us by friends as gifts, but we never regarded it as a collection that needed to grow. We never searched for Linn Ware. When Keith had to move to Pretoria, we were astounded by the amount of good quality Linn Ware that was available in Gauteng Province. 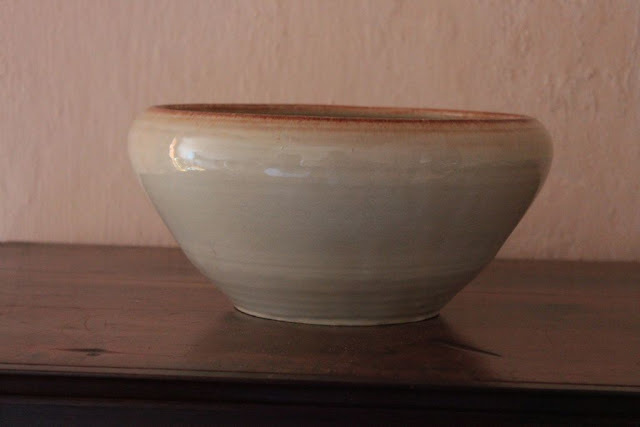 When I saw a pure white Linn Ware bowl, I was in love. It was different and beautiful but unfortunately sold by the time we made enquiry. 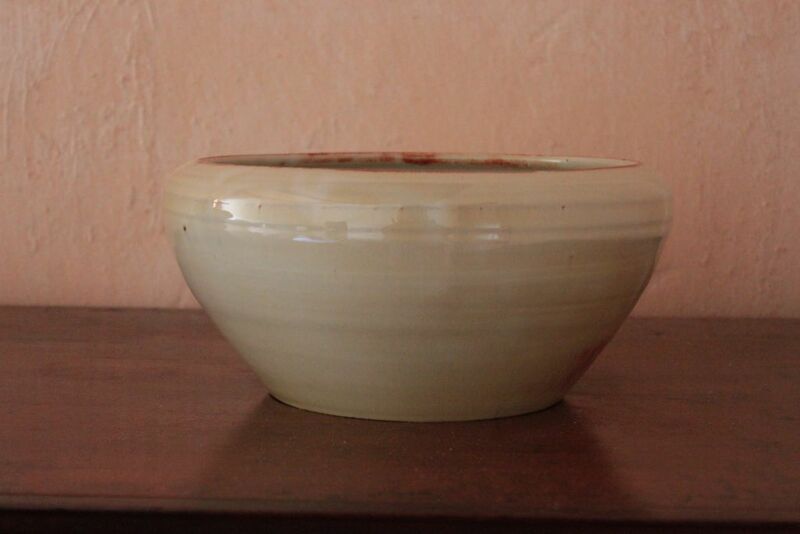 So I had a new mission, find a white Linn Ware bowl. I like plain classic designs that add something timeless to a room. 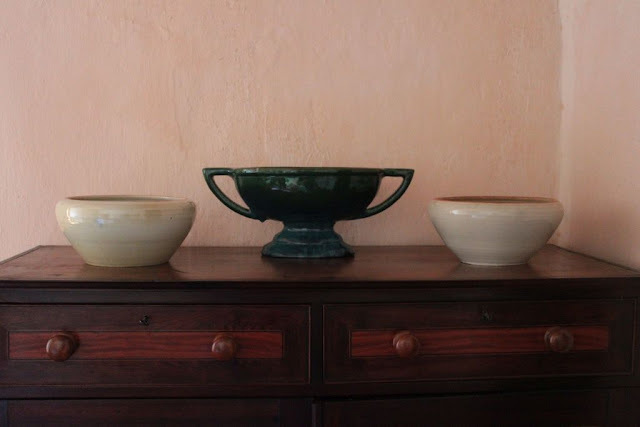 When I saw two near-identical light-coloured Linn Ware bowls at an antique expo at the Cape Town Waterfront, I did not think twice about buying them. 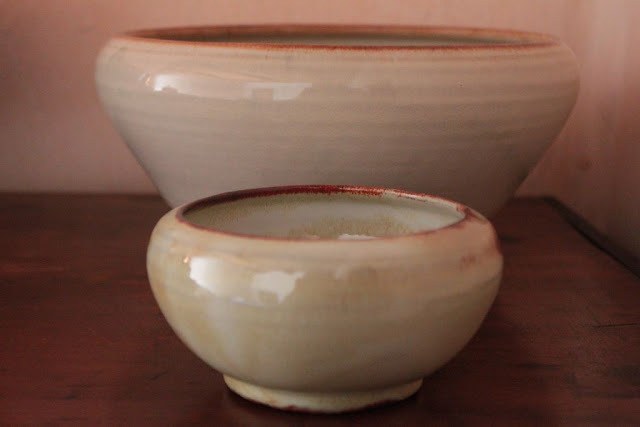 On their unwrapping at Towerwater and putting all the various pieces together on the dining-room table, we realised that we had a fair collection of Linn Ware. Have I crossed a collector’s line with my latest Linn Ware purchase? Am I destined to search second hand and antique shops, and markets for more and more pieces to add to the ‘collection’? Only time will tell. Collecting bits and pieces does tend to create opportunities for random and unexpected surprises in life. Thanks for sharing these thoughts on collecting!